churchtoons, cartoon bible messages from church: How would you respond? 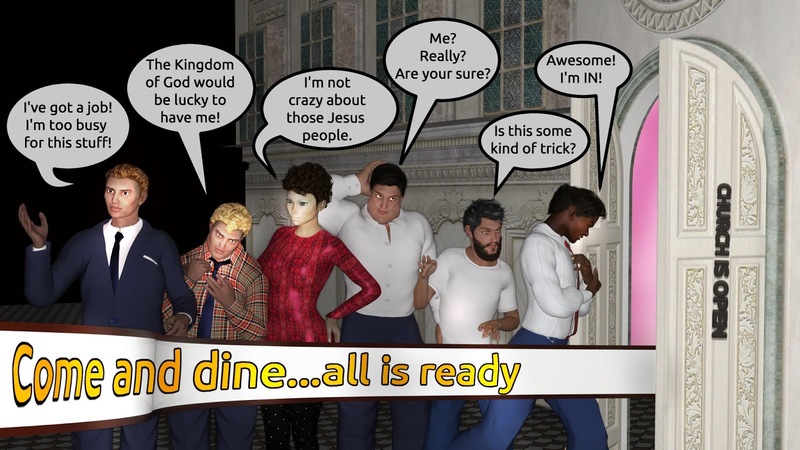 In Luke 14, Jesus tells a story about feast that no one wants to attend. The guests all prioritize something other than the feast and its gracious host. How do you respond when God calls you to partake of His goodness and kind gifts?